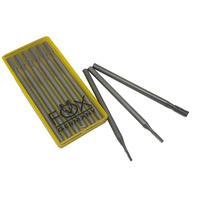 Carbide burrs and rotary files are used in various applications for deburring, cylinder head porting, mold making, tool and die, metalworking, tool grinding, foundry, aerospace, automotive, dental laboratory, wood carving, farriers, metalsmithing, sculpting, welding, chamfering, jewelry manufacturing, die casting, and metal casting. 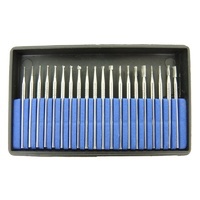 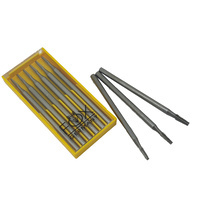 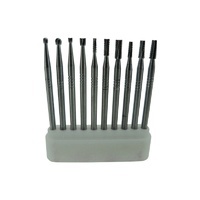 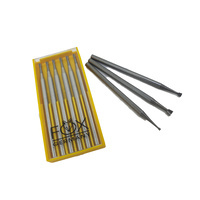 We stock smaller carbide burrs only, that are useful for bone carving, egg carving and wood carving. 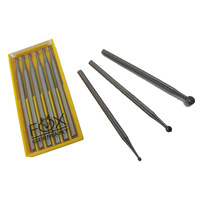 The carbide burrs are available in 2.35mm or 3mm (1/8") shank and can be purchased individually or in a pack of 10.